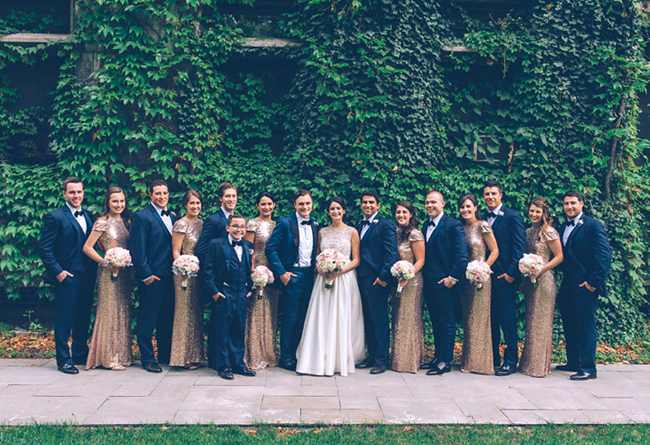 Inspired by vintage romance and glamour, Laura and Mike's Chicago wedding included a gorgeous beaded wedding gown, dark navy attire for the gentlemen, golden champagne bridesmaids dresses, and navy table linens with sparkling gold runners at the very elegant Drake reception. 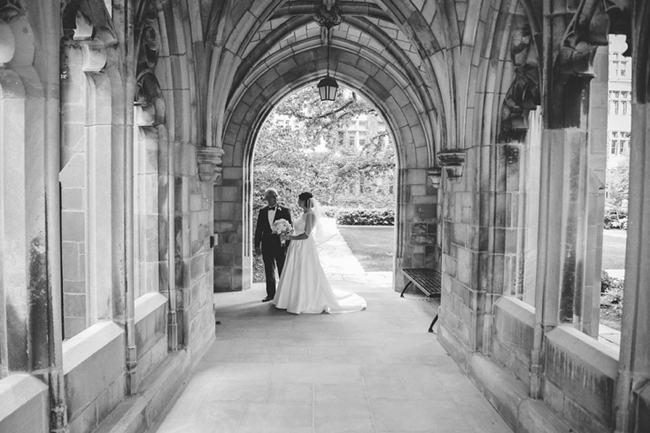 The ceremony at Chicago's Bond Chapel was magical. 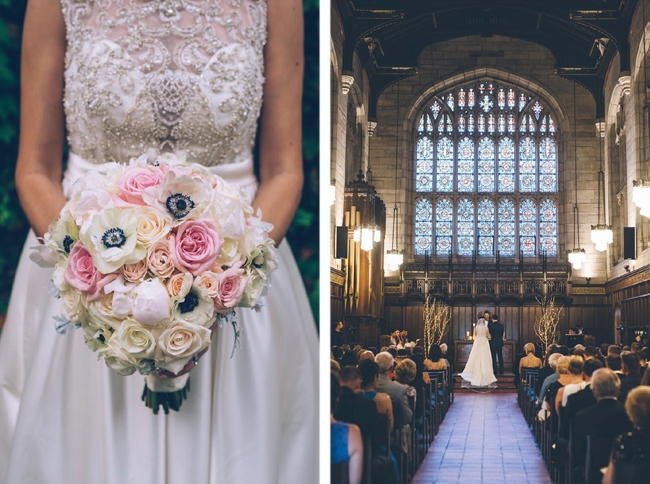 Laura carried a stunning bouquet with pink, blush, and white roses, garden roses, and stylish white anemones. 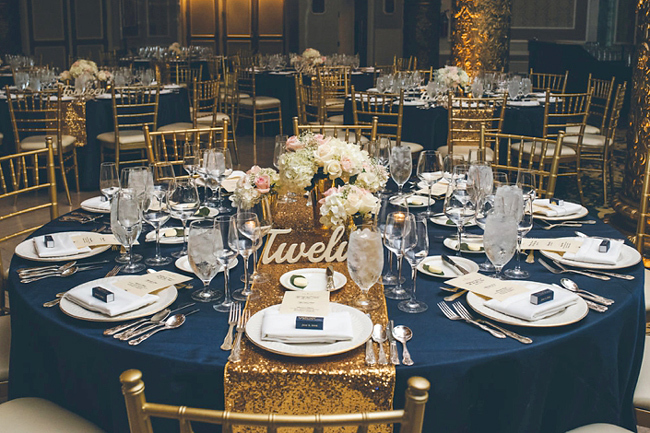 The celebration afterward at the Drake ballroom was timeless, with lush rose and hydrangea centerpieces to complete the romance theme. 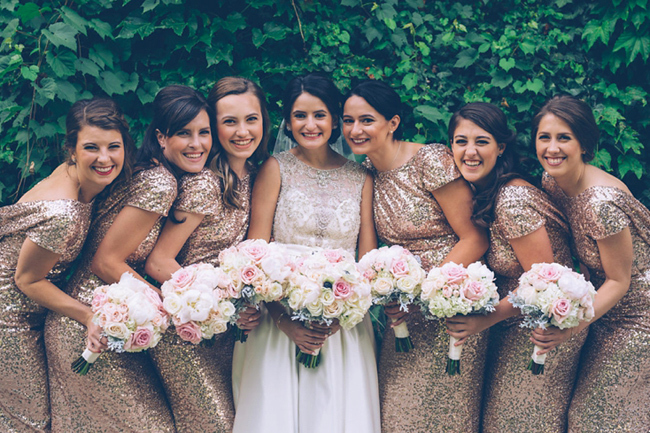 Everything was coordinated beautifully by Simply Perfect, and it was all captured by Ed & Aileen Photography. 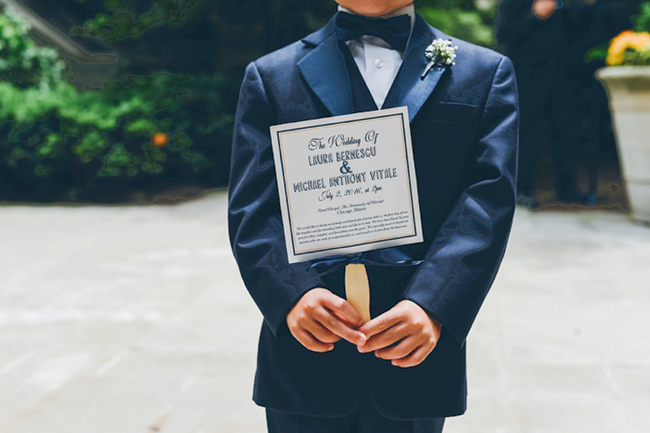 See more at The Black Tie Bride. 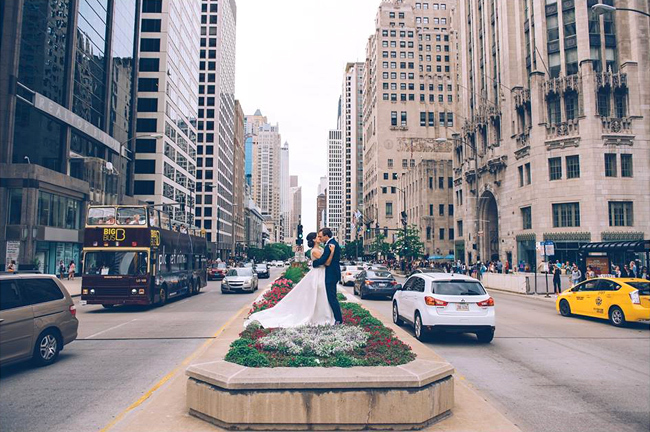 Thank you Laura and Mike for letting us play a small part in your iconic Chicago wedding. 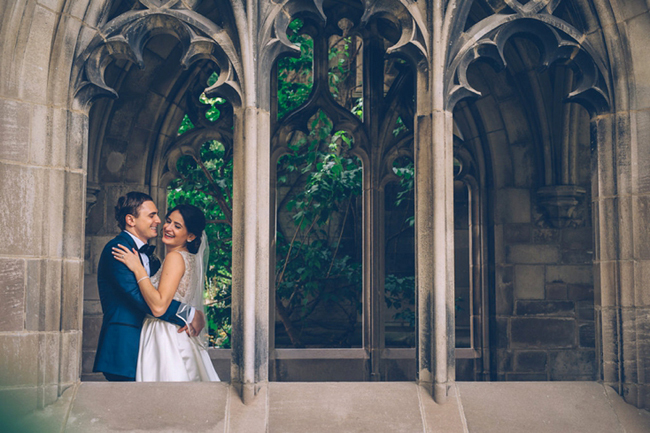 We wish you a lifetime of real happiness together. Additional Credits: Encore Event Technologies, LEAP Weddings, Bluewater Kings, and Amy Banas.